Once you’re logged in, choose your editor. The easiest one for beginners is iD. You’ll be asked if you want the walkthrough before editing – take it! There are more details on settings below in the humanitarian tutorial. 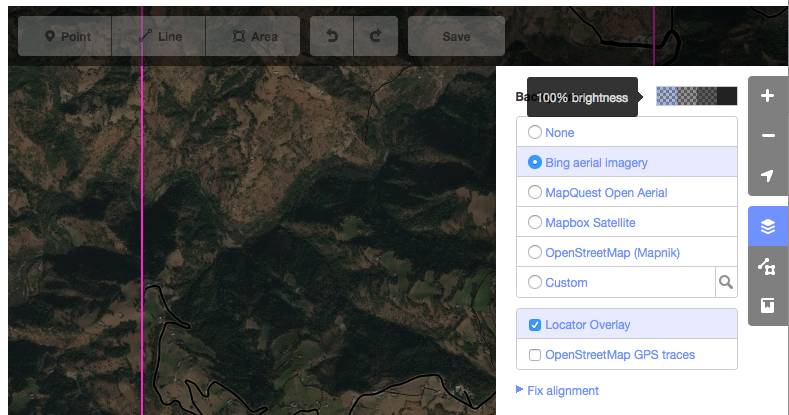 Zoom into your neighborhood, find something to add or edit. Editing an existing feature can be as simple as adding hours to a clinic or updating a business name to reflect that it has changed hands. For example, the edit above adds the total number of docks to a bike-sharing station – the point is to get familiar with the process. If you make a mistake, the “undo” button on the top navigation is your friend. 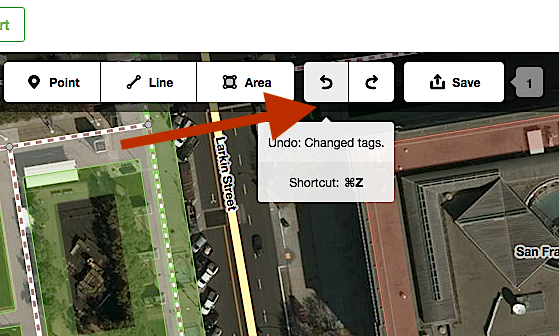 If you’re adding something completely new and aren’t sure how to tag it, this Wiki will help. Once you’re done, hit “save” and add a comment to reflect what you’ve done. In the example above the comment was “added total number of docks to bike sharing station.” For your first few edits, check the box that indicates you’d like a community member to review your changes. It’s good to get confirmation that you’re doing it right – or get corrected before you mess up on the map. 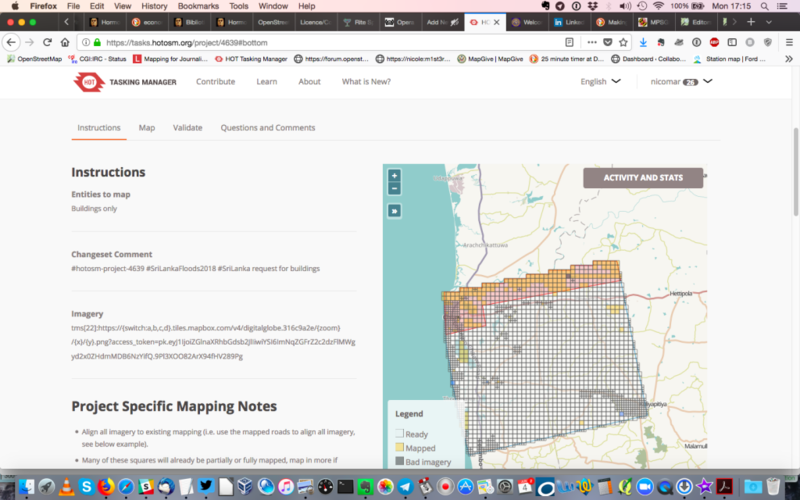 My first experience with OpenStreetMap was a 2015 mapathon organized after the Nepal earthquake organized by Sameer Verma, a professor of information systems at SFSU, who’s also on the advisory board for the Commons Initiative. About 15 people – students, faculty and armchair mappers like me – learned the basics during a session led by Schuyler Erle. 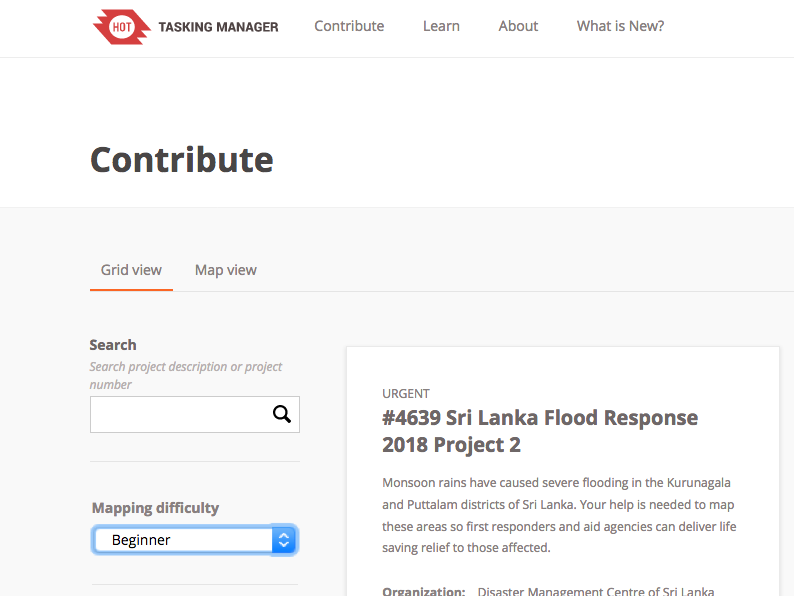 Click “contribute” then filter tasks from the dropdown menu on the left so only “beginner” level tasks are shown. Read the Instructions tab first, this will tell you what exactly you’re looking for – roads, buildings etc. 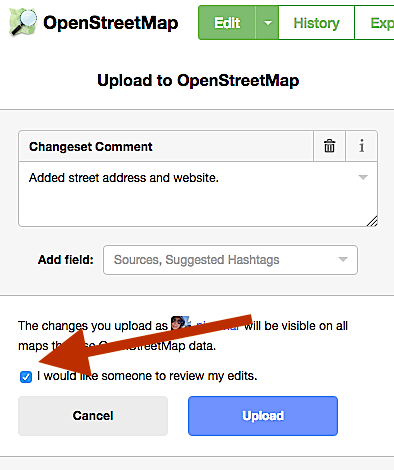 Click the “map” tag and pick a square to map, doing so will lock it out from other contributors. It stays locked for two hours and if you don’t finish, it’s unlocked for others to work on. Choose an editor. The easiest one for newcomers is ID editor, Erle says. 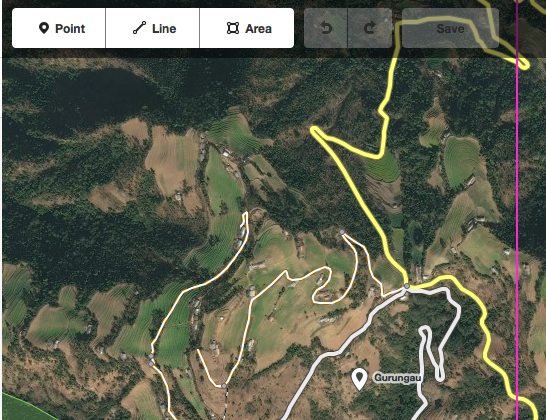 When you click on it, the map will unfold in OpenStreet Map. Take a few minutes for the tutorial. The basic concepts will be familiar to anyone with mapping experience but are easy to get for newcomers and it’ll take the anxiety out of your first contributions. Also, taking a few minutes for the tutorial means you’ll avoid doing stuff like not squaring rectangular buildings, which is the OSM equivalent of ratty jeans at a wedding banquet. Hmmm. Does your map look like a giant, shape-shifting mold patch? Hit the “settings” top right and pump up the brightness to 100 percent. Zoom in on your square (highlighted in hot pink) and start mapping. 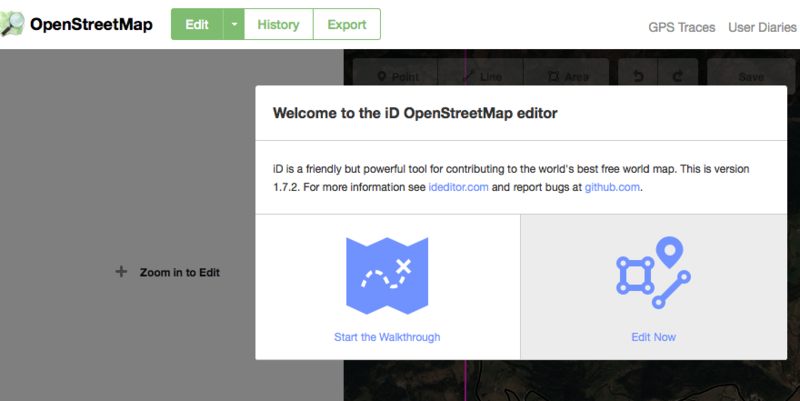 Be sure to check out OpenStreet Map’s extensive tutorials and exhaustive wiki. Consider taking your laptop out to a free workshop or finding locals via the mailing lists, too. This entry was posted in data and tagged resiliency maps by . Bookmark the permalink.